Having a great idea is only the first part of starting a new business. Once you have a plan in mind for your startup business, how will you finance it? Rather than waiting for your fairy godmother to magically drop a bundle of cash on you, take action to raise the money you need through traditional and non-traditional methods. The government does, however, see a potential return in investing in a technology company through the Small Business Technology Transfer program. Develop a new bomb-defusing robot and the government gets a return on its investment many times over. While these grants are lucrative, they are also exceedingly difficult to get. You're likely to be better off going after smaller, locally disseminated grants through your state or city. Peer-to-peer lending (P2PL) is a relatively new style of borrowing, and it caters in large part to people with little credit history, which is to say young people. Having a thin portfolio can put young entrepreneurs in something of a catch-22: They need more capital to expand their portfolio, and they need a more expansive portfolio to secure more capital. This is where P2PL steps in. Companies like Upstart and Lending Club allow individual investors to invest in loans while using their own criteria to determine borrowing terms. For instance, rather than taking into account the lack of credit due to a borrower's age, the investor may consider academic performance and employability. 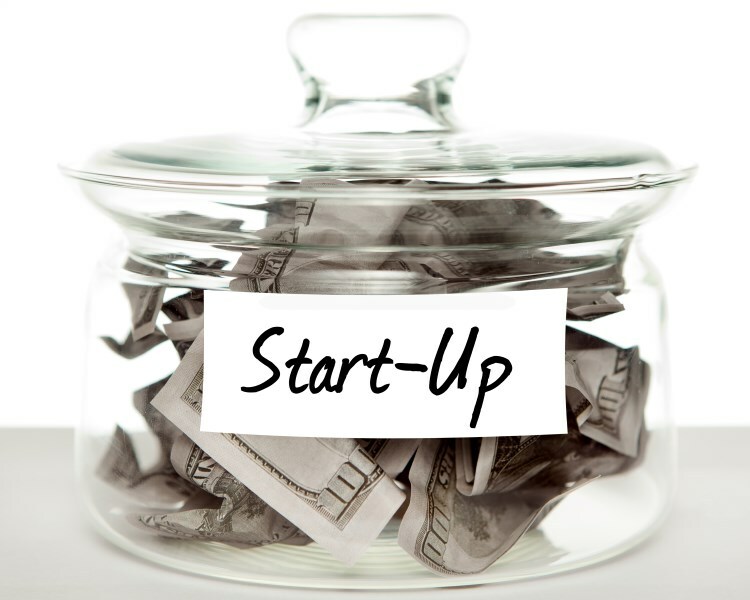 This alternative method of gaining funding may be the most buzzworthy on this list. With sites like Kickstarter and Indiegogo, crowdfunding has allowed massive numbers of people to invest in projects and products that matter to them. The idea is, rather than go after one large loan, allow great numbers of people to donate small amounts of money. A good example of crowdfunding is the return of Reading Rainbow. LeVar Burton, wanting to avoid studios, which may have tried to take over creative control for the show, went to fans of the show for funding. Due to the show's popularity, small donations (some as small as $5) eventually added up $5.4 million dollars, almost five and a half times as much as the original goal. Suppose you need a $500,000 loan in order to get your invention into full production. You could attempt to find an angel investor who would be willing to loan the money at a certain interest rate, and that investor would likely wind up owning a percentage of the company. One way to avoid the long-term implications of a loan from an angel investor is through microlending. Microlenders will usually only loan no more than $20,000 at a time. They do this for a variety of reasons. First, there is less risk due to the lower amount of the loan. Second, time has shown that businesses that get microloans survive at twice the national rate and pay back the loans at the same rate as traditional loans. As funny as it may sound, your business plan can not only make you money in the long term, but it can win you money today. Maybe it won't be exactly today, but today's as good a day as any to start looking up business plan contests. Not only can you gain money by winning, but the process of taking part in the competition can give you valuable insight, win or lose. Often, you will have to undergo an interview process with seasoned business people who will ask you questions about your business plan that you may not have thought of. One of the best things to come out of a competition like this is realizing that your business plan has holes and that it's time to figure out solutions to those problems before your business launches. Too often, I see people get mired in the planning phase of a business. They spend months on the business plan and years trying to get funding for a full-scale launch. The problem is, during all of that planning and fundraising time, you could have been making money and spreading brand awareness with the product itself. There is nothing out there stating that you can't start selling your new and improved can opener out of your kitchen. With a comparatively low amount of startup capital, you can produce 1,000 of them and start going door-to-door, market-to-market, selling these can openers. If they sell, the store orders more. If they don't, you make improvements and start again. Why wait until you can produce 100,000 units? Get going, and by the time you have enough money to produce 100,000 units, your first 1,000 will have taught you how to make sure they sell. For many of us, this is the hardest method of gaining capital for a startup. Whether it is because family can be notoriously intrusive lenders or because of your own pride, asking family for money, even when you agree to repayment terms, can be difficult. In my experience, I've learned that treating the family member, when possible, like a small angel investor can work wonders. Ask for the loan, guarantee repayment with interest, and give them a temporary percentage of the company. Depending on your forecasts, this can be 0.5% to 10% or more, but know that the more you give, the more control they will want. Walking this line between giving too much and giving yourself a shot at the loan in a way that will let you keep your pride can be tough, but you want to make sure you are giving as much as you're getting in business… especially when you mix business and family. This can be tough, and it really only works if you, you know, have assets, but selling assets can be a great way to start pulling together startup capital. It's a difficult decision and a risky one, but at least in this case the risk is entirely yours, and you can't garnish your own wages to get the loan back. Consider whether you need that car or if you could trade it for something a little more economical. Could you downsize your lifestyle temporarily in order to live the lifestyle you always imagined later on? Angel investors can seem like just that to a startup: an angel. Usually, angel investors have some experience in your industry and have found success in their own companies. With this success and expertise, they have decided to invest in other similar companies for a significant return on their investment, sometimes as much as 25% and a portion of the company. They can ask for terms like this because you are not only getting money but advice from someone with a vested interest in your company and invaluable experience. 9 Creative Ways to Finance Your Startup Business - InLoox • Copyright 1999-2019 © InLoox, Inc. All rights reserved.